awwww!! T and A are sooo cute!! 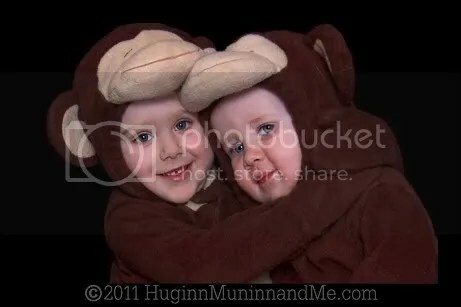 Def little monkeys…but CUTE little monkeys! AWWWWW they’re so stinking cute! Wait a minute A can’t be standing up yet, you just had her! Sorry! I didn’t clarify. MY babies are T and Ro. A is one of T’s friends – one of the kids I watch during the days when her parents are at work. She’s two. I’ll be getting a post up ‘introducing’ all the babies that aren’t mine but live here often soon to help clarify the confusion. Ro is only 10 months old, but she CAN stand up! Though she surely can’t jump, and isn’t nearly as big as A is! Wait a minute… I think this is an OLD one! Mom said the same thing, and I’m confused! These pictures were taken only a couple of weeks ago. T dressed as a monkey not this past Halloween, but the one before that – 2009, and is wearing the same costume. Maybe you’re mistaking these images for the ones on this post? 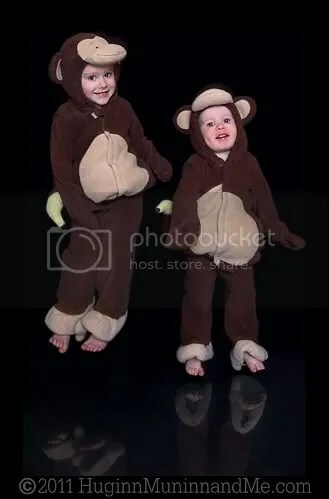 What fun those girls had as monkeys. That’ll be a good memory for them to look back on. 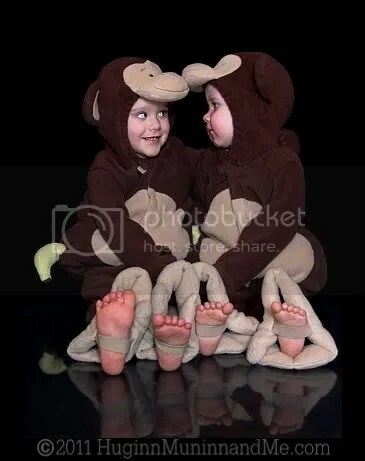 Would love to monkey around with these two!! Definitely priceless!! Love that the costumes were so cheap!! Great deal! oh man. 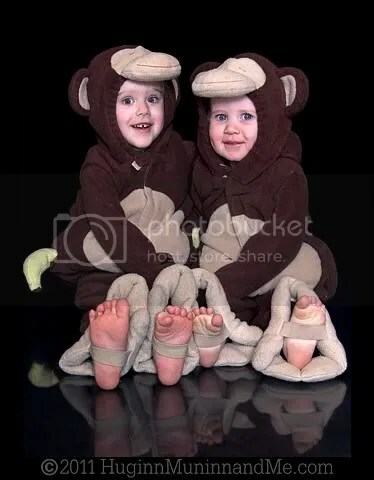 i can’t wait to have kids and dress them up all ridiculous! how sweet and what fun!! !